Seattle is famous for unique businesses that have shifted paradigmatic models in industries from technology to arts. An unassuming brother and sister team have brought that creative energy to effect transformative change in the typical business model of storm water management and an array of environmental management and maintenance services that are not typically operated in a single company. But, Seattle natives Rebecca Craig and her brother Richard Hamilton are not your average entrepreneurs in the storm sewer management industry. The track record of these young business partners is also not in the vicinity of average performance. First of all, the name isn’t even normal for the sewer industry: Best Parking Lot Cleaning, Inc. (BPLCI). It’s got nothing to do with storm drain water handling. But, it’s the business name the siblings inherited, along with their father’s business, when they were just teenagers. 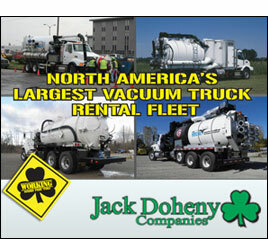 The business is obviously about more than its large liquid waste revenue channel. 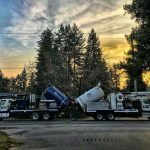 The company is also one of the premier Seattle street sweeping companies, offering a unique range of services between the two separate classes of environmental maintenance services. But, no marketer is likely to motivate the owners to change the name to anything more symbolic of the actual range of services they provide. They cheerfully shrug off that suggestion. They can afford to have a less-than flashy name, because their market position and their reputation are so well established that the name in the yellow triangle logo on their trucks means less to their network of customers and prospects at this point than the relationships that Rebecca and Richard and their professional team have built with them. The brother and sister have come a long way since the year their parents died only months apart, when Rebecca and Richard were just teenagers. They were faced with the forbidding challenge of sustaining and growing their family’s business, which had been operating since the mid-1970s. The two now stand looking back at the decades of economic and other obstacles they’ve overcome, and the unusual market demands and changes to which they’ve adapted. What a strange odyssey that journey must have been, especially in those earliest days¬—stepping into their parents’ shoes as mere youths, managing grown adults who were doing very serious and demanding work. At just 20 years of age, Rebecca was suddenly calling the shots in a predominately male industry that is prohibitively challenging and expensive for the vast majority of strong adults to even think about competing in. A couple of years later, at just 18 years of age, fresh out of high school, Richard came on board, and the two moved forward together, to beat all odds in the difficult business. Can Two Youths Make It In a World of Heavy-Equipment and Intense Responsibility? To back up a little, Richard’s and Rebecca’s dad, Randall Hamilton, opened the business over forty years ago and began running it while he continued working his regular day job. He started out sweeping and cleaning parking lots around the area, using a water truck. The business grew beyond his expectations, and some of the company’s current customers were among those Randall first served over four decades ago. In 1980, when Mount St. Helens erupted, the City of Auburn made a public works contract with him. His business grew slowly to around a dozen or so service vehicles. Through the first six years or so after their parents’ deaths about 29 years ago, the kids, Richard and Rebecca, hired people to manage the business. They had seen their parents running it throughout their childhoods. They had even helped stuff some envelopes. But, they had no appreciable experience or qualifications when they decided to run it themselves. They did have more than just the blind confidence of youth driving them to take the reins. They actually expected some failures, but they reasoned that at least they could safely assume that nobody else would probably care about the success of their company than they would. So, it was off to the races. And, predictably, there was some amount of stumbling and falling here and there for a while. Now reflecting on their journey, Rebecca and Richard say that they’re kind of amazed that the company actually survived. By the time they stepped in to manage it, taxes were waiting to be paid, there was difficulty getting loan approvals, and other problems. The kids didn’t really know what to do. Richard says he had always been interested in working in the business and had always viewed it as a good opportunity for himself. Today, he says he’s glad not to have the student loan debt his friends all have. Rebecca agrees that, even with all of the pitfalls of entrepreneurship, it’s well worth it to be able to operate your own business. The business was slowly but steadily growing up to about 2010, when the recession hit. Rebecca remembers it as a dark time, “I didn’t think we were going to survive that. Sales fell 50%. But, we did survive and recover.” So, they’ve made it work. Or, at least that’s the closest thing to an expression of pride about their monumental accomplishment that you’ll pry from them. The Best organization currently has over 50 employees, including around 45 field service team members, five mechanics, and administrative staff managing scheduling and AP/AR, payroll, and other tasks. The company also employs two sales employees, an aggressive strategy for a company of its type and size. Rebecca and Richard also do sales as well as many other tasks common for small business owners in the industry. The business has a second location in Woodinville. Best’s excellent growth over the years under management by the sister and brother team bears out the soundness of their strategic operational model. The highly diversified services array offered by Best includes Storm Drain Cleaning, Catch Basin Cleaning, Pond Cleaning, Street Sweeping, Snow Plowing, and Parking Lot Cleaning. Rebecca explains some of these as extra services the company provides for customers who request them. Much of the company’s new business comes due to the team’s flexibility to offer services related to those that they’re delivering at any given site and time. The field service vehicles are equipped with cameras that detect problems inside catch basins while Best’s workers are servicing them. Those discoveries frequently indicate needs for other work to be done. Rebecca explains that there are also many kinds of service needs that are closely interrelated to those they provide, so that often some type of work must be done in order to make it possible to do other types. The Best team’s goal is always to provide customers with the help they need to get the necessary work done as conveniently and quickly as possible. About 50% of the company’s business is from storm drain cleaning (with the other half generated from street sweeping and other services). Around 75% of the company’s total revenues come from incoming calls with requests for service within 24 hours. Approximately 95% of Best’s work is within a 100-mile radius of their Seattle location. In the Seattle area, everything that washes into storm drains heads to the Puget Sound. Because those drain contents can’t be permitted to flow into the Sound, everything washing down into the storm drains must be cleared up quickly. So, a company like Best, that can provide rapid response, is in high demand in the market. In addition to providing fast response, Richard and Rebecca have always been strongly committed to fair pricing for their team’s work. This simple, but challenging combination of fast service delivery and fair prices has sustained and grown the business. The owners are proud to continue serving customers that their dad began his company with back in 1977. Rebecca attributes the company’s success simply to reputation and relationships built on basic business service consumer principles, “They know that about us. As long as we’re fair, they continue to call us.” She adds that there’s plenty of work to go around in the region, so that aggressive pricing isn’t necessary, even though she also points out that Seattle is a very competitive market. So, What Do They Offer That’s So Special? All of the waste material collected from storm drains must be disposed of according to code. It cannot be simply dumped in a regular dumpster. One winning feature of Best’s services is that the company has its own waste disposal facility. So, the company offers customers everything necessary to ensure the smoothest possible cleanup and disposal process handled seamlessly. Best also provides waste tracking for customers. Tracking of waste is required, in order to ensure it’s being taken to an approved disposal facility. That’s something that customers are responsible for doing themselves, under the environmental requirements, as the parties generating the waste. Providing customers with tracking along with pick up and disposal is makes the entire process optimally efficient and convenient for them. The company does have another service location in Woodinville, which provides various roadwork services, but around 95% of Best’s work is done within a hundred miles of the Seattle main location. 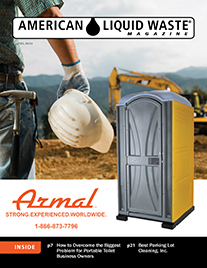 In addition to the company’s storm water clean out and street maintenance services, they’ve recently begun offering roll-off dumpster services. The owners anticipate significant growth from the dumpster revenue line. That makes Best’s diversification of services decidedly one of the most ambitious we’ve seen around the country. How Do They Generate Business? After the forty years the business has been operating, Rebecca and Richard still find that there’s a need to stay active with sales. They say that well know it can only take one mistake to get yourself replaced with a few clicks or a phone call. However, Richard estimates that last year (2018), 90% of Best’s customers had received services from them during the year before (2017). That number, of course, speaks very well of the consistently strong quality of their team’s performance. Speaking of the community, Seattle is under heavy development, which is expected to continue for another eleven years (through 2030). Transportation is chaotic. Rebecca says their logistics have had to incorporate special routing to get through to customer locations, and time used for metro area travel can be so extreme that charges must be passed on to their customers to help offset costs of employees and vehicles spending so much time getting from point A to B through traffic. Yet another challenge to meeting commitments and controlling costs for their company and customers. 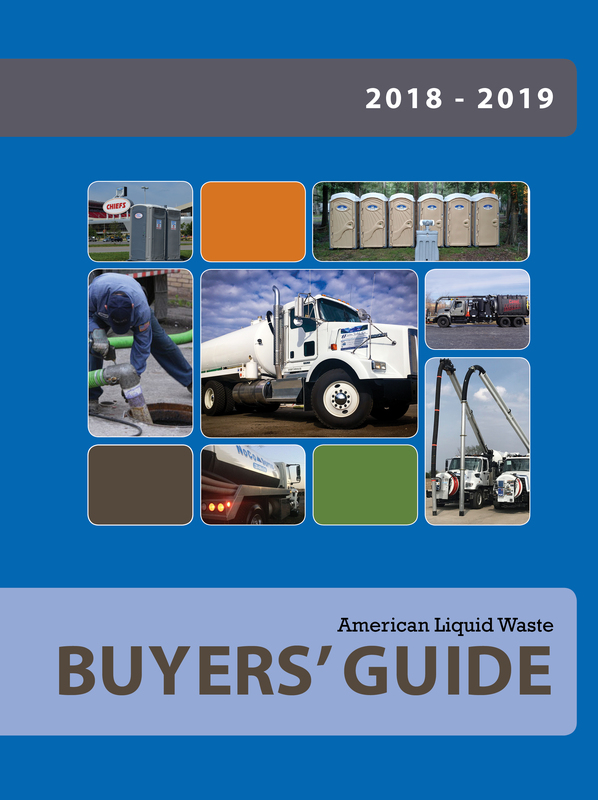 Recruiting and retaining good employees is an ongoing challenge across the liquid waste handling industry as well as in the sweeping industry, which Best also operates in. The business pays enormous amounts of overtime, due to the continual shortage of viable job candidates. The company provides a very competitive compensation package. We don’t want to be under any illusion. Our employees have to feed their families too. Offering good pay and benefits means that the company isn’t going to be the lowest bidder. But, the savvy owner/operators have a deep understanding of the long-term advantages of pricing commensurately with their service quality. They know how to avoid falling into the common perceptual trap of undercutting prices and thereby undermining their own potential for success. Best has employees who’ve been with the company for 25-30 years. Some have been running the same machinery for 20 years. Some specialize in specific services and are dedicated to specific customer accounts. Others are cross-functional staff who receive a wide range of types of training, to handle emergency response services. Rebecca also mentions that the absence of adequate, reasonably priced, industry-specific accounting software has risen up the charts of persistent problems. She notes that that’s a modern problem that seems especially weird to have in Seattle, the veritable tech innovation capital of the world. Certainly, a pesky massive ongoing employment market problem here and a nagging process-impacting tech problem there could never have been enough to stop the likes of the Rebecca and Richard, not even 30 years ago, when they were to become entrepreneurial kid superheroes. Surmounting challenges is what those two specialize in, so, no worries in Seattle. True to form, they credit their team, and they shy away from any personal accolades. They’re always for the team, always talking in terms of the team, always fixed on the care of the team. We won’t list all of the many compensation, performance incentive, team building, cultural development, employee engagement, employee satisfaction and exemplary hiring-quality processes that the company has in place. There are too many. We will have to let it be enough here to motivate us to strongly suggest to any employer in this industry who is operating with so much difficulty in employee retention that it is threatening the sustainability of the business, follow the example of this ownership pair—think team nurturing. The now seasoned business partners’ have proven that their long expressed aim toward maintaining continued slow, steady growth throughout the years was a solid strategy for long-term success in the industry. As for their entire service strategy, it appears to amount to helping people trust them and feel confident that they’re going to be provided with good service and fair billing. They’ve proven that that works to encourage people to call them again, and that retaining customers doesn’t really need to be more complicated than that.